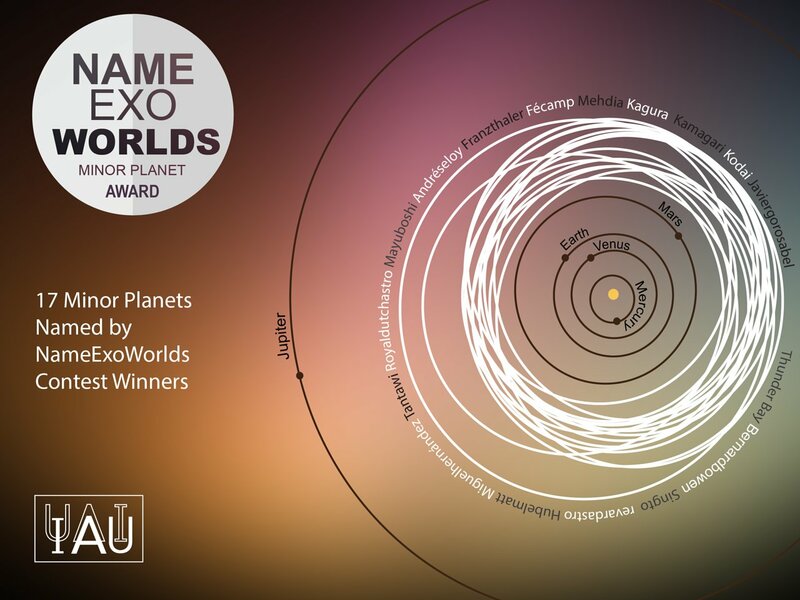 In 2015, the IAU organised the NameExoWorlds contest, which provided the first opportunity for the public to submit names for exoplanets and their stars. As a result, the names of 19 ExoWorlds (14 stars and 31 exoplanets orbiting them) were chosen by public vote, and accepted by the IAU. These names became the official designations of the exoplanets and stars. As a reward to the winners, they were given the exciting opportunity to name minor planets in our Solar System. The IAU, via its Division F Working Group Small Bodies Nomenclature (SBN), recently approved the new names of 17 minor planets after the winners made their proposals. A full list of the citation of the minor planets can be found at the IAU Minor Planet Circular.